Working in wet and greasy conditions like a fishery or automotive shop can often involve having to handle small tools and parts. The slippery conditions of these industries can make these tasks more difficult than they already are. Thankfully, the Towa ActivGrip 26cm Liquid Resistant 565 Gloves provide superior grip in tough conditions, including dry, wet and oily settings. The gloves also use MicroFinish technology, which adjusts to different conditions by reaching like tiny suction cups that attach themselves firmly to the material being handled. 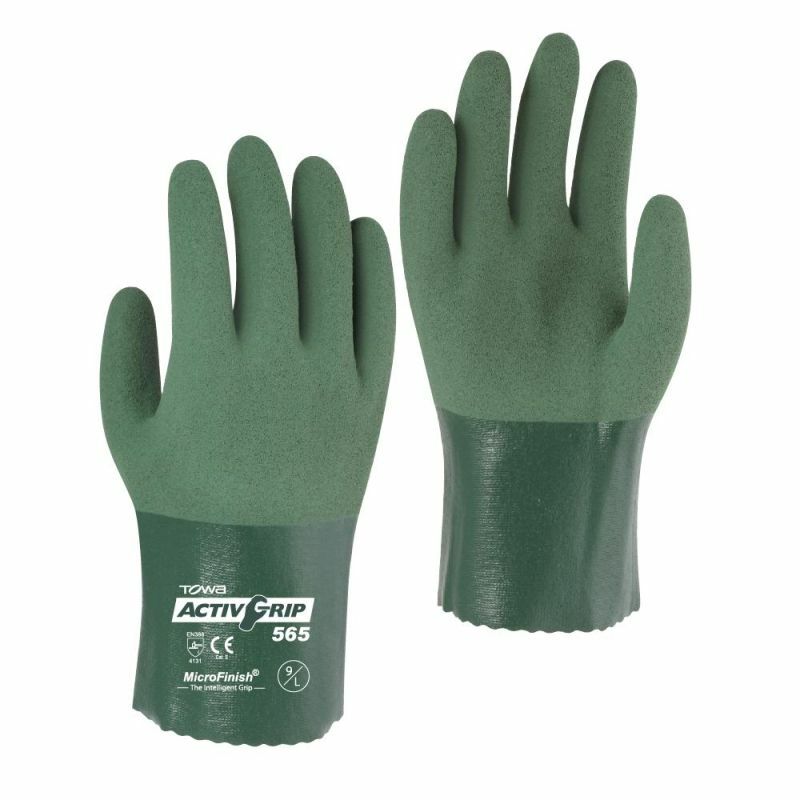 The Liquid Resistant 565 Gloves are available in four sizes to fit most hands. Please measure the circumference of your hand around the knuckles (excluding your thumb) with your palm open and your fingers together.